My goodness but it has been a long time since I’ve last posted. 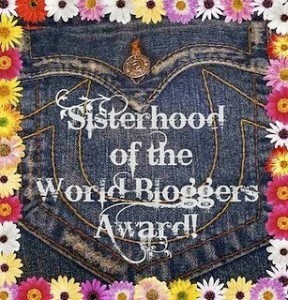 Please know that this is no indication that I am planning on closing or shutting down my blog….not at all! It is simply a reflection of going with the flow of life and my creative juices. 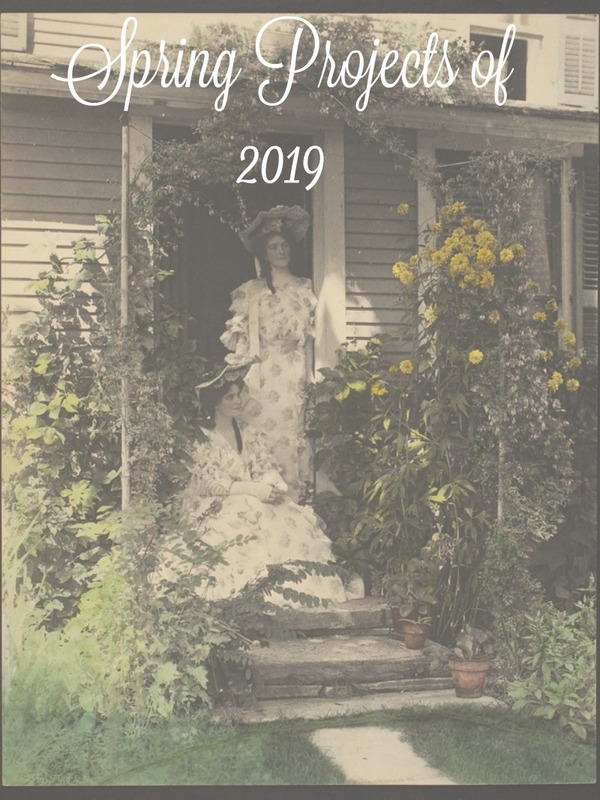 But here on this slightly rainy and grey Saturday, I felt like writing and sharing a little of what I am into and planning this spring! 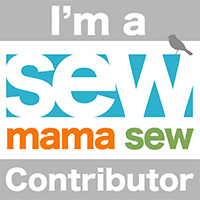 So lets start with some sewing…my favorite thing to talk about! 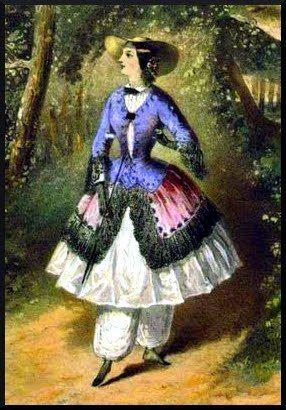 🙂 I have discovered a secret love of bustle gowns and completed my first just a few months ago! 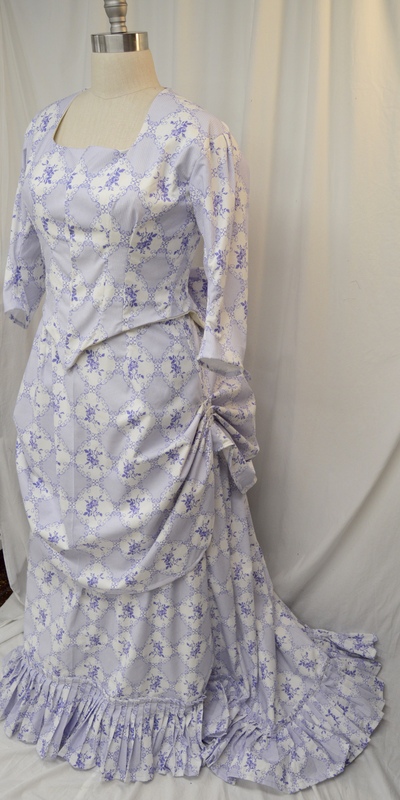 I most definitely feel a little late to the 1880’s party, but oh boy am I here to stay!! 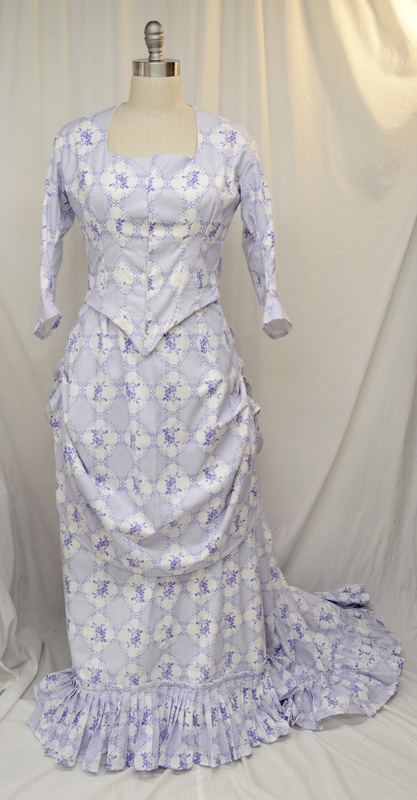 I relied heavily on Prior Attire’s Victorian Dressmaking book (link HERE) and have to say I am very pleased with my first attempt. 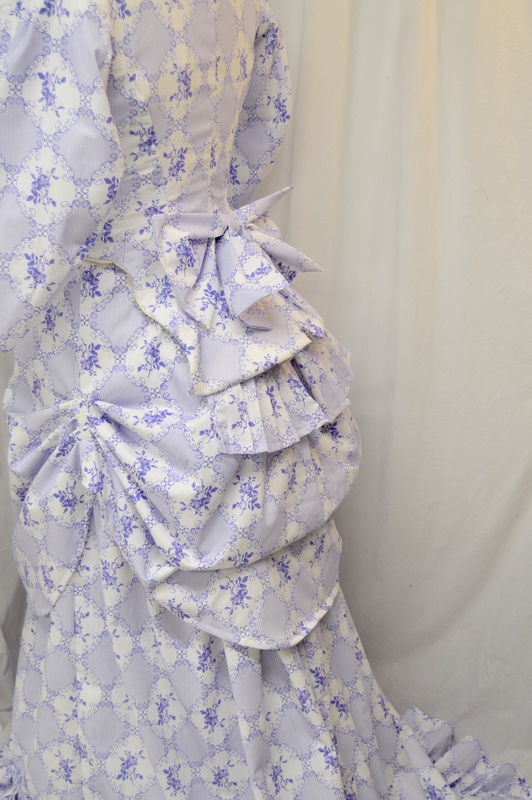 I am planning on creating another one in the near future, I just have to decide on what silk I want to use. 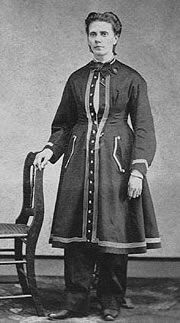 I have also been spending more time trying to improve my overall gown construction. 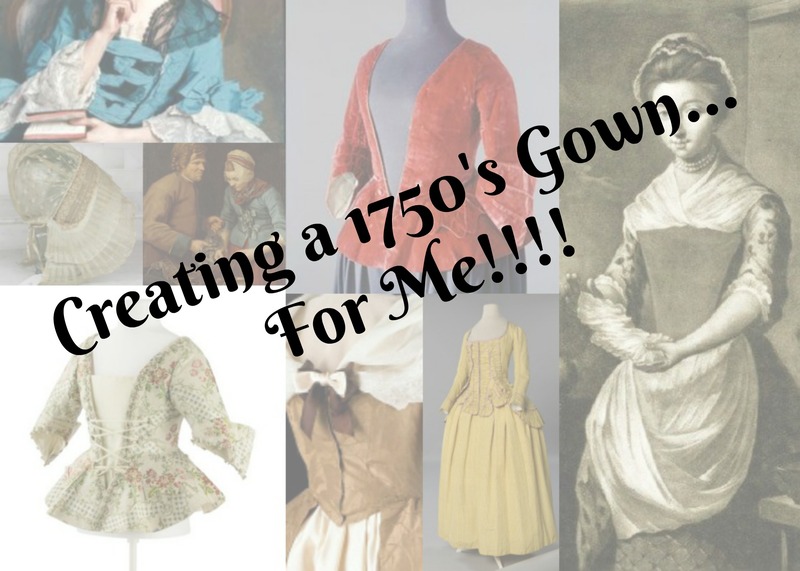 Not just for the sake of sturdiness and quality but of course with the aim to continue to make my gowns as historically accurate as possible. 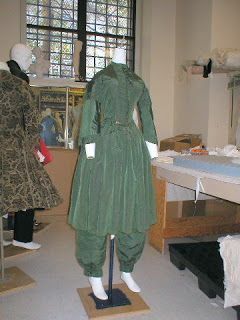 I have create a Pinterest board highlighting a variety of construction techniques along with the inner “guts” of gowns. 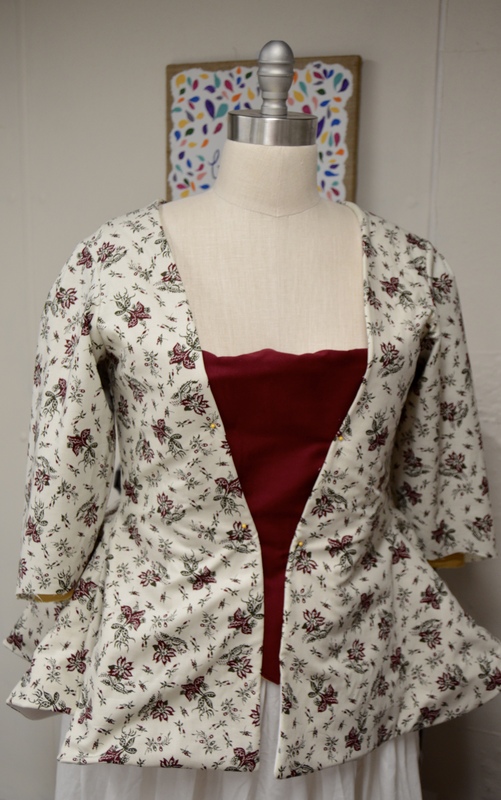 PLAID SILK CARACO JACKET, c. 1770. 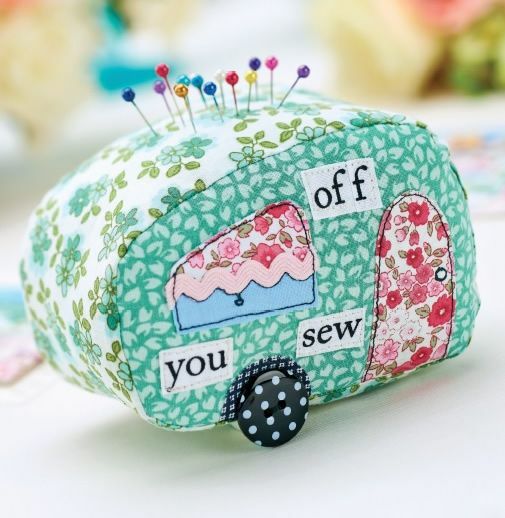 This is one of the many reasons that I love this type of sewing. 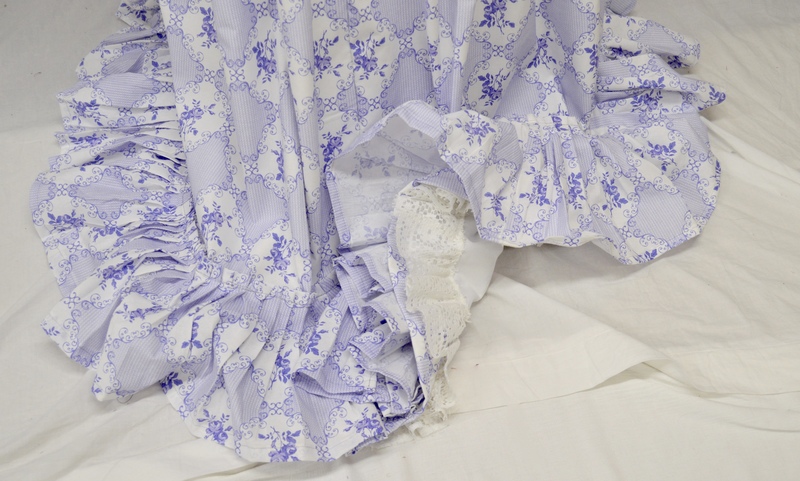 The ability to improve and perfect ones techniques is a continuous work in progress and helps keep everything fresh and exciting…even if you are dealing with garments hundreds of years old! 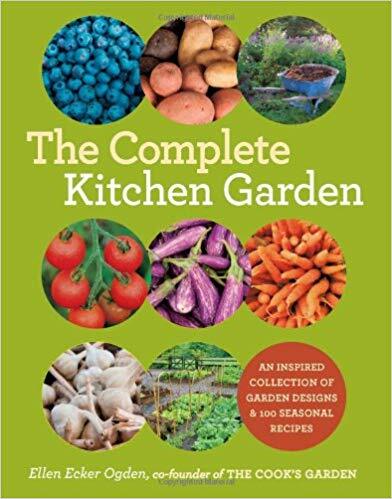 I’ve read The Complete Kitchen Garden Book by Ellen Ecker Ogden cover to cover twice and am excited to try this new (or at least new to me) type of gardening. So what have you all been up to? Any new tips or tricks to share??? Sometimes its fun to get back to basics. With the long, hot days of summer upon us, having a simple and fulfilling project to complete in the cool air conditioning is all a person needs to feel refreshed. 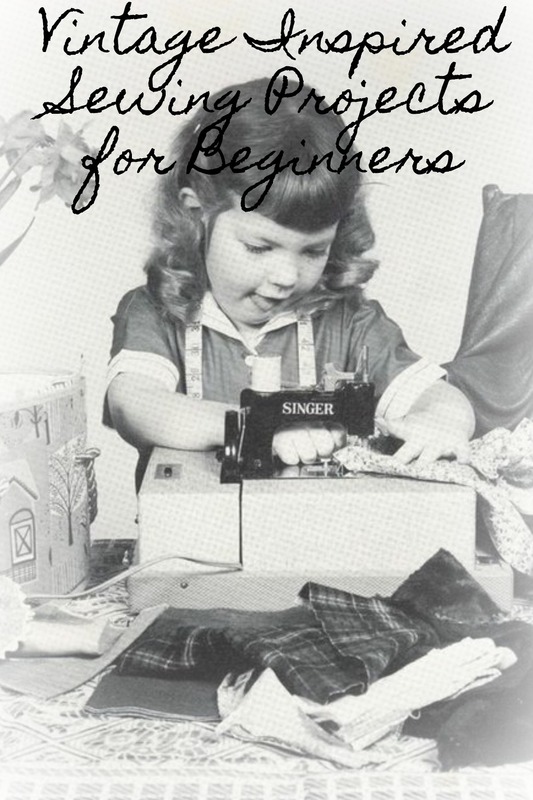 Here are a few of my favorite (easy) vintage inspired sewing projects! 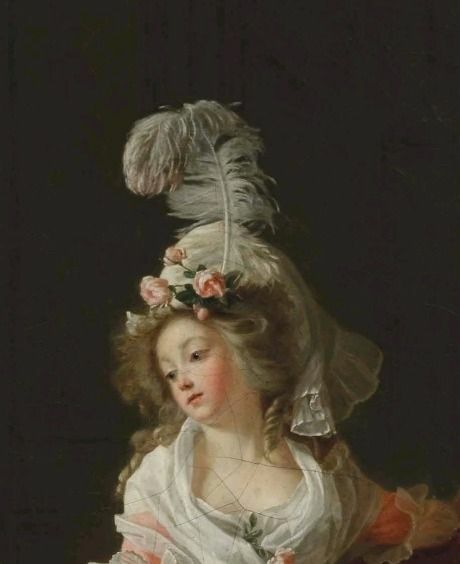 Click title to be taken to website for project instructions. 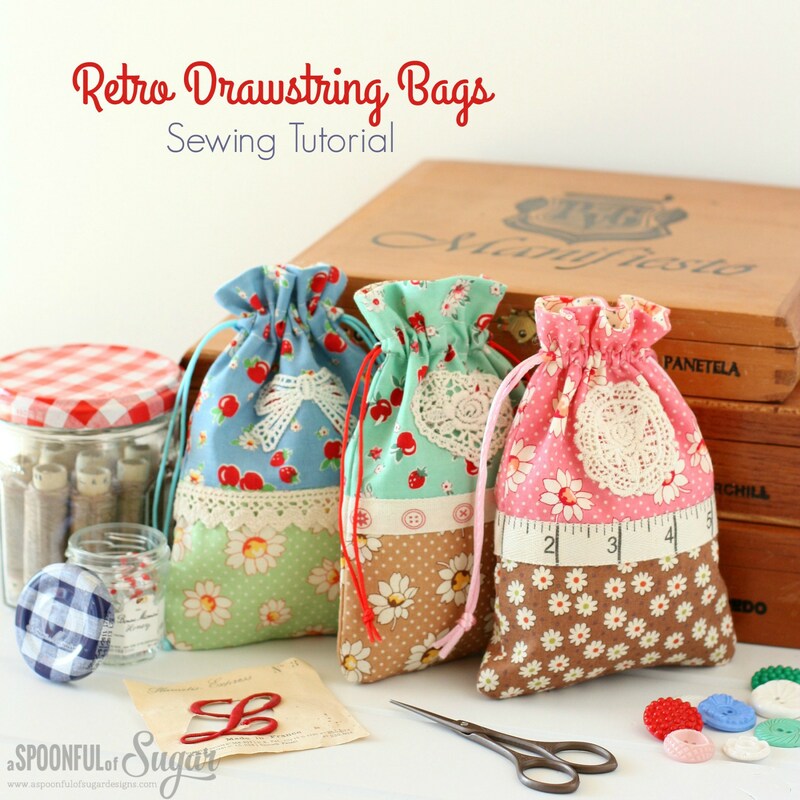 Make these little bags up in various sizes to fulfill all your needs. I love having a few little bags like these for quick trips to the library or farmer’s markets. And of course my one year old loves toting bags like these around to hold all sorts of random toys! This little project is a quick way to get a quilting fix without having to commit to a larger size. Go stash diving to use up all those odds and ends you know you have lying around! This little camper is the epitome of summer vacation! 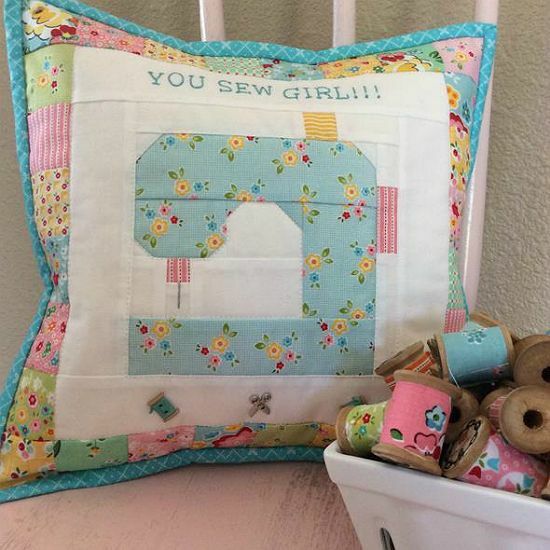 Let this little cutie grace your sewing table and help you keep track of all those rogue pins. If you want a little more of a challenge, why not take a pattern you already have and mix it up to create something more vintage. 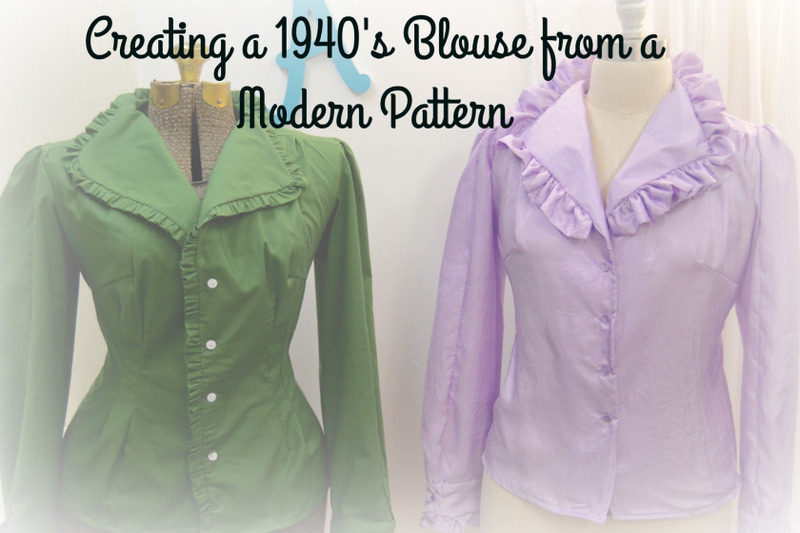 In this video tutorial, I’ll show you how to create two different blouses using one modern sewing pattern! So don’t let the dog days of summer get you down! 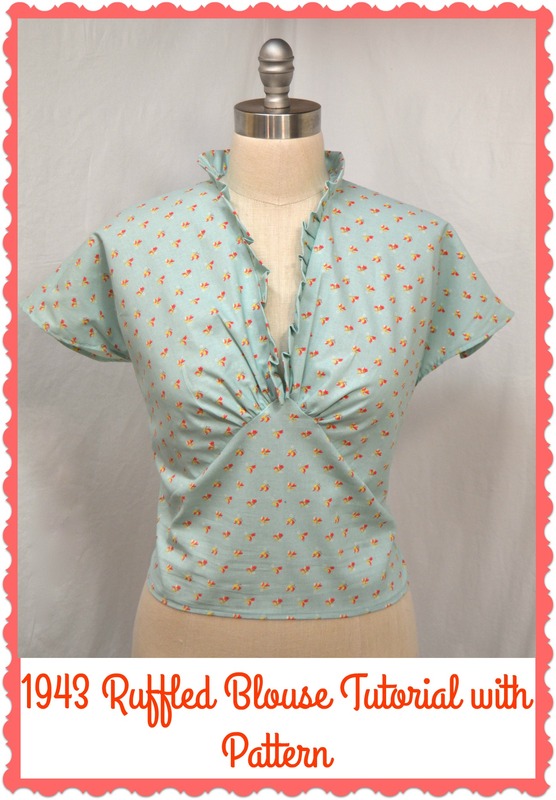 Grab some ice tea and head to the sewing room! 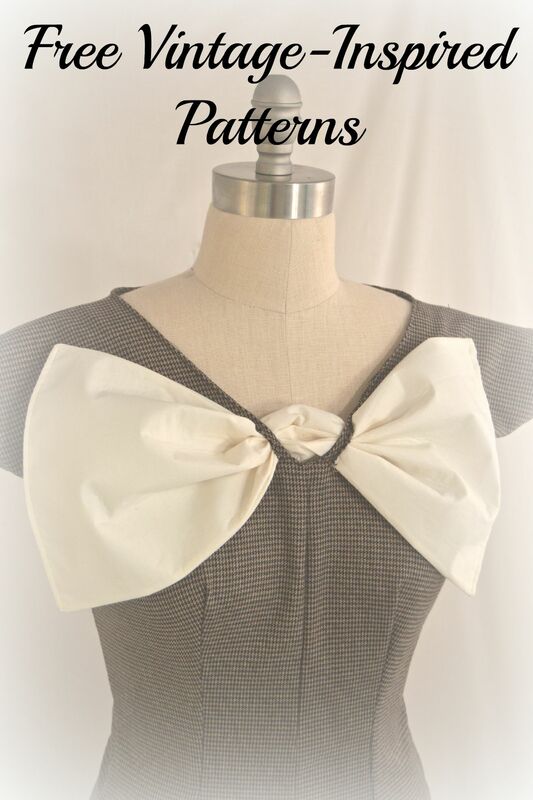 I am now accepting custom orders on select items for August and September. To see current offerings please click HERE. To see my online portfolio click HERE. 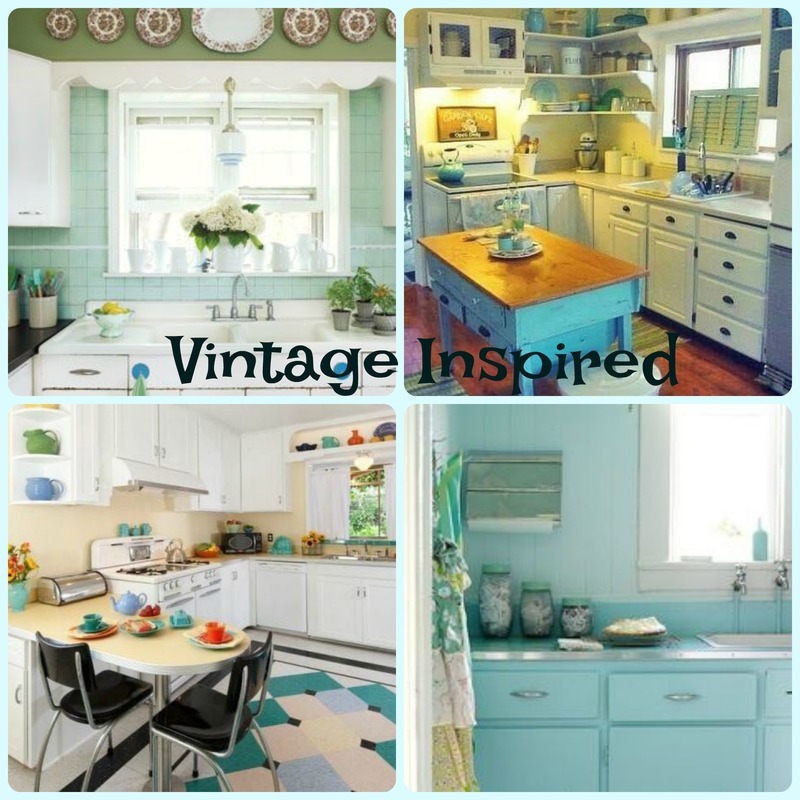 I will never, ever, and I mean NEVER EVER get sick of looking at and admiring vintage kitchens! Even though I have personally just redecorated my kitchen into more of a farm style, I know that it won’t be too long before the vintage look makes its way back. 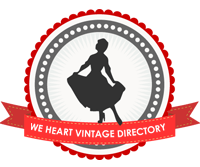 Anyone who loves or appreciates anything vintage will understand exactly what I mean. 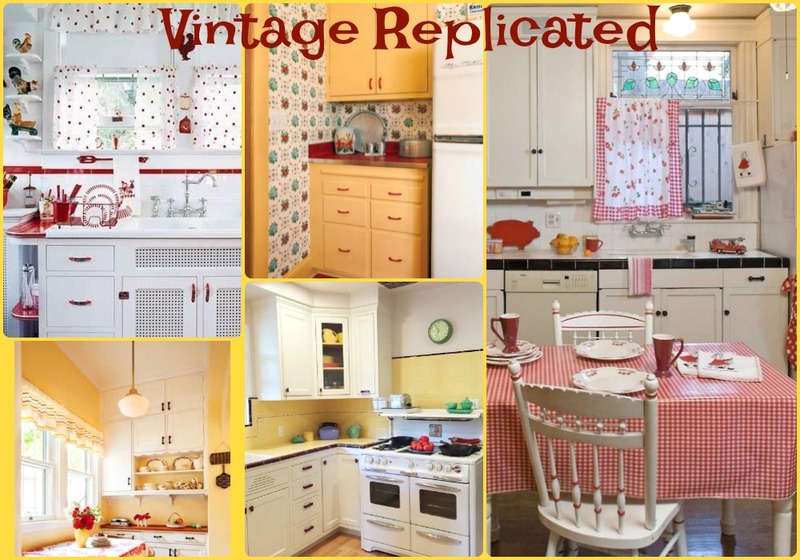 But when trying to write this post, I found myself struggling to put into words just what it is about the vintage kitchen look that I so much love. Upon thinking, I have found that it contains both physical and mental attributes. 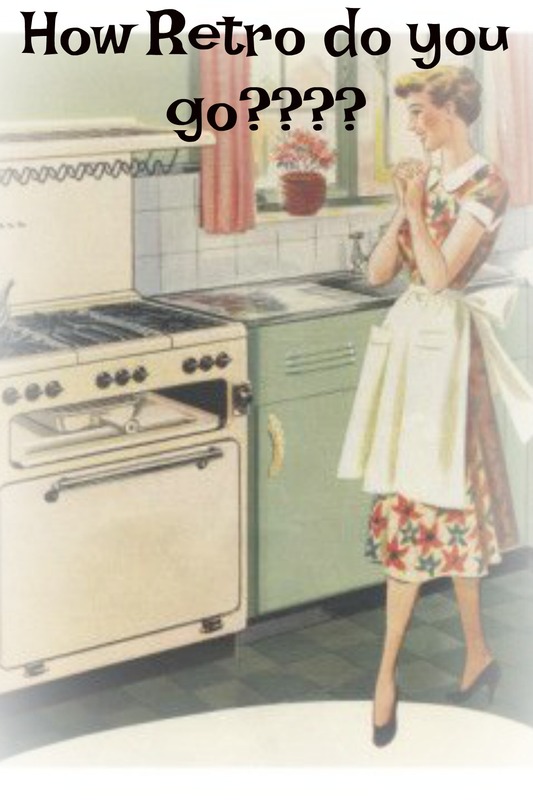 The idea of family, homey-ness, and just good old fashioned cooking makes up the mental appeal. But to describe the physical, I had to find some examples…..
Ahhhhhhh! It looks so appealing, clean, sunny, and fresh! From the striped cushions, the plate rack above the sink, to the geranium in the windowsill, everything oozes welcome and home. But what is stopping me from creating a kitchen just like this? Well besides the fact that I would have to do some major reconstruction, the idea of a tiled wall just seems a little out of date. But what about this kitchen? I mean a cozy siting area in the kitchen complete with fireplace! Sign me up! The glass cabinets and breakfast nook all add to the overall appeal….but again, something stops me. Perhaps it is the commitment to one and only one color? 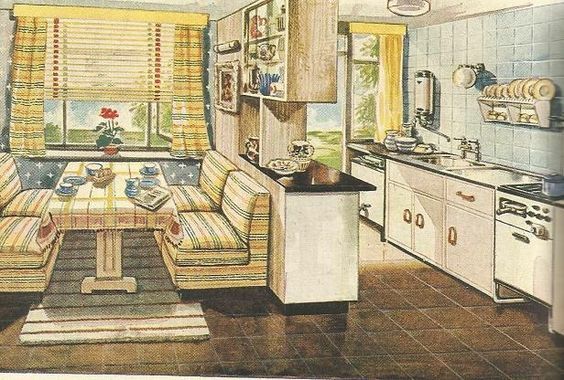 So you see, no matter how much I love the kitchens of the 1920’s, 30’s, 40’s 50’s, and yes even 60’s, I just can’t seem to recreate the entire look in my own home. So I have to ask the question: How retro do you go? When looking for images for this post I have discovered that there are two major types of retro home decorators out there. One type that loves to replicate and the other that likes to use a touch. So I gathered some examples of each to see what you all thought! Let’s begin with those true-to-form decorators out there! 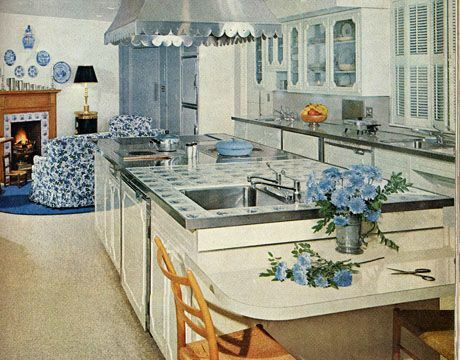 From color, to pattern, to accessories, these kitchens look as if they have been plucked right out of a 1950’s Better Homes and Gardens magazine! I debated where to put the bottom left hand image…that one really could belong in both categories. 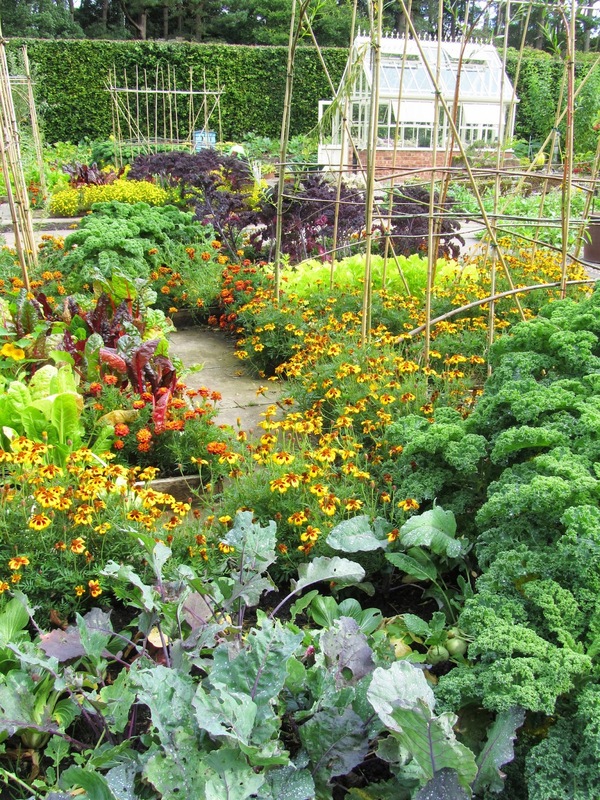 My goodness but it has been quite a while since I have posted anything here on my blog! It has been for good reason, and I’ll explain that a little later on, but boy, is it wonderful to be back!!! Not to mention that the warmer weather is finally, and I mean FINALLY, starting to show up! I don’t know if any of you have been suffering for want of warmth like us in the northeast, but it has been a most painfully long, cold spring so far. 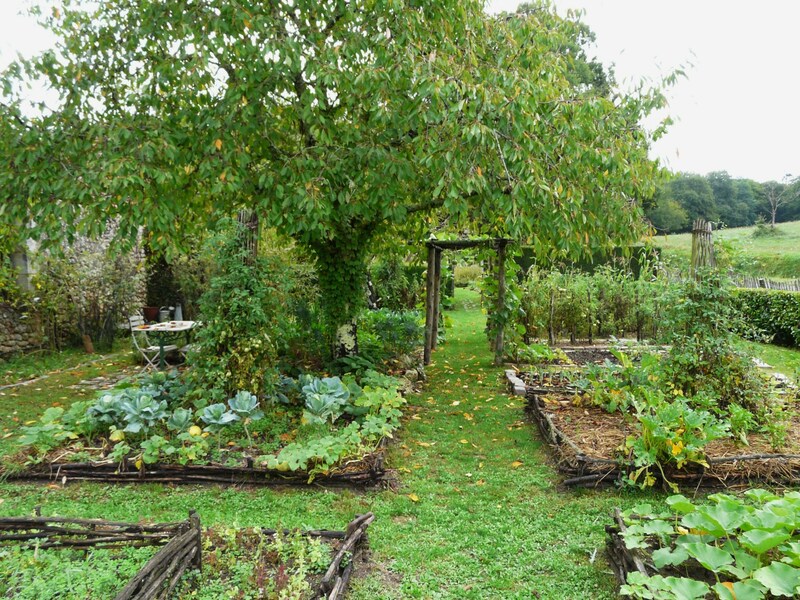 I have found that the older I get the more the drab, rainy, and cloudy spring days get to me…but I guess I’ll worry about that depressing future another day! So where have I been? I looked the other day and saw that I haven’t posted since December! Yikes!?!? I by no means intended to take such a long break from blogging…it just sort of happened. I, like many of us, got caught up in the busyness of the holidays and the start of the new year. 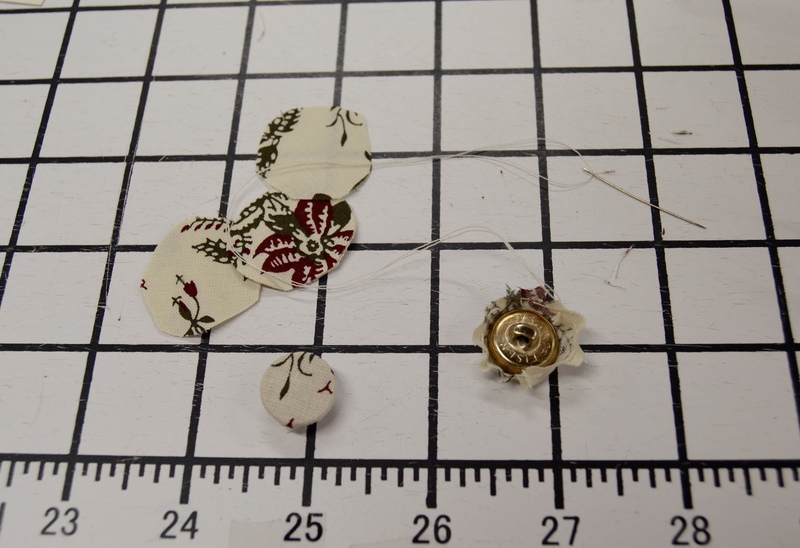 A wonderful influx of custom orders with limited sewing time compounded the issue. And then there was the fact that I had a little baby girl who struggled sleeping at night. Between night feedings, midnight crying sessions, and one whopper of a cold for the whole family, I spent my days just trying to function. There were times when I tried to sit down in front of the computer and write, but the words just got stuck. I realized that I had to be relaxed and rested to write otherwise I was just staring at the computer screen watching the precious minutes of a nap tick away with nothing to show for it. So I just let the block stay as it wanted and focused on enjoying mommy-hood and sewing for my daughter as well as my business. Two things that really kept me sane and provided a much needed creative outlet. Well, as of a week ago we have successfully weened off of night feeds (a little late for many babies, but right and proper for my now ten month old little nugget) and a full night sleep has been added back into my day. I’m still enjoying the novelty of not having to get up every three hours…its wonderful! 🙂 And as a result I have found the rest greatly increased my desire to write and create blog posts again. So I’m back with a goal of trying to post four times a month. A goal mind you. 🙂 I have found that with many creative aspects of my life, to just relax and embrace the dry times as much as I do the days when creativity oozes out of my fingertips! So thank you for your patience and your continued support and readership! 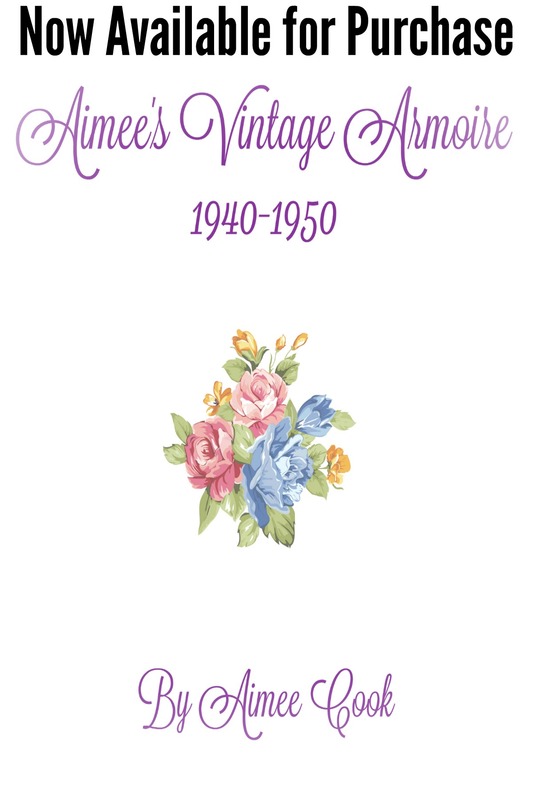 There comes a time when all business sewing needs to take a pause, and personal sewing needs to take over. You see, I don’t often sew for myself. 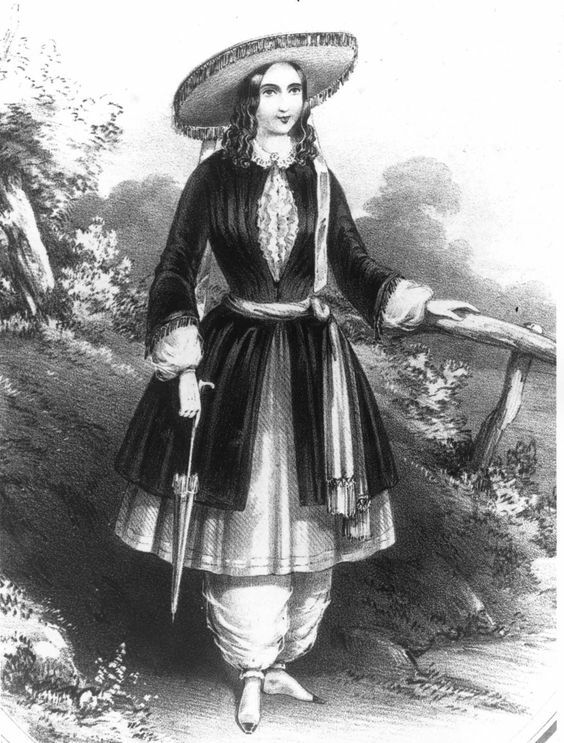 After thinking about what I wished to create, I decided on an outfit to wear at next year’s French and Indian War Reenactment…in July. 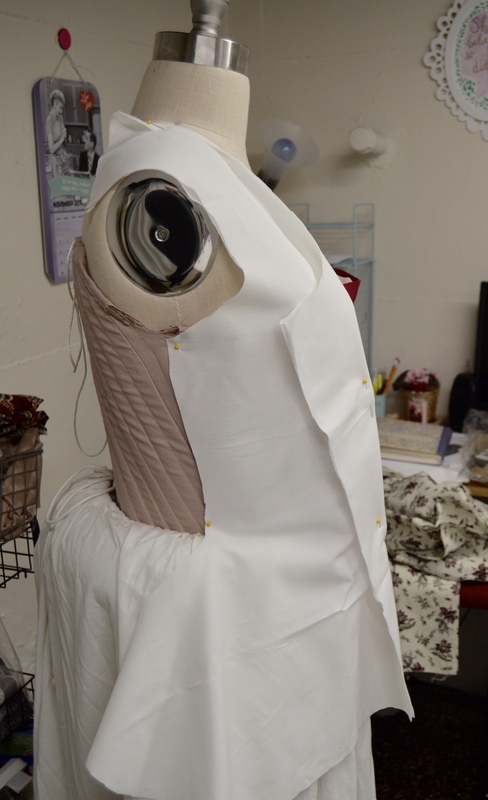 The tricky part about making a gown to wear in the summer while it is still winter is the fear that I am going to sweat like crazy! More about that later! 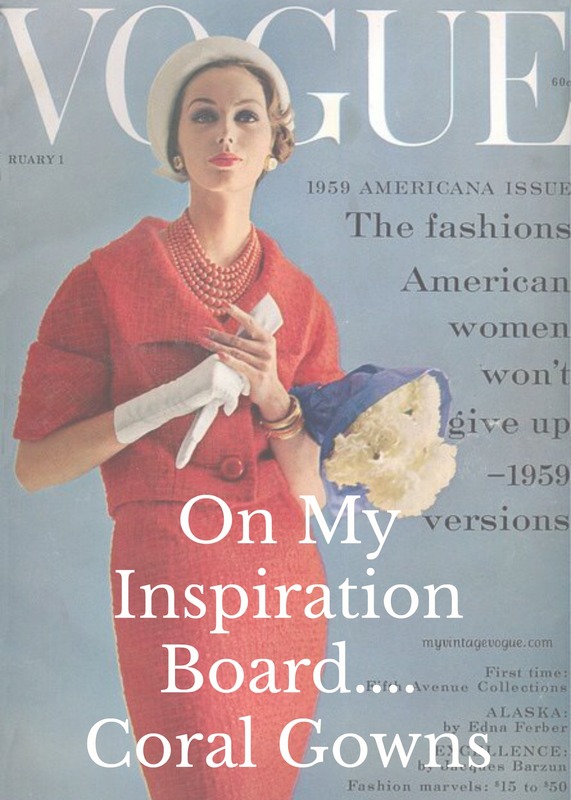 So, as always, whenever I begin a brand new decade or project apart from the norm, I begin with an inspiration board. 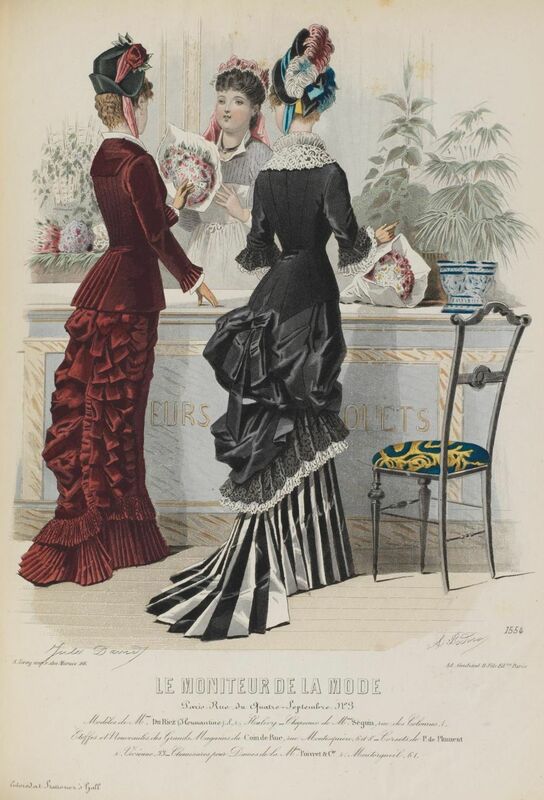 This is where I gather images of actual gowns, paintings, or pieces of a gown I want to try and incorporate. 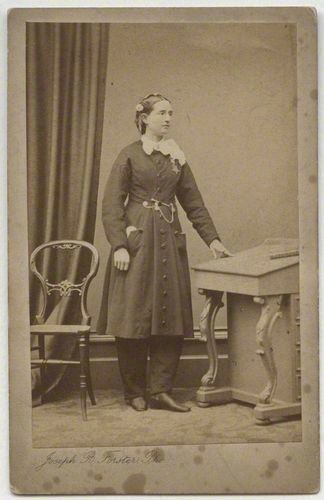 The problem with this particular gown is I wanted to include WAAAAY to many aspects and techniques, so I had to really cut down. 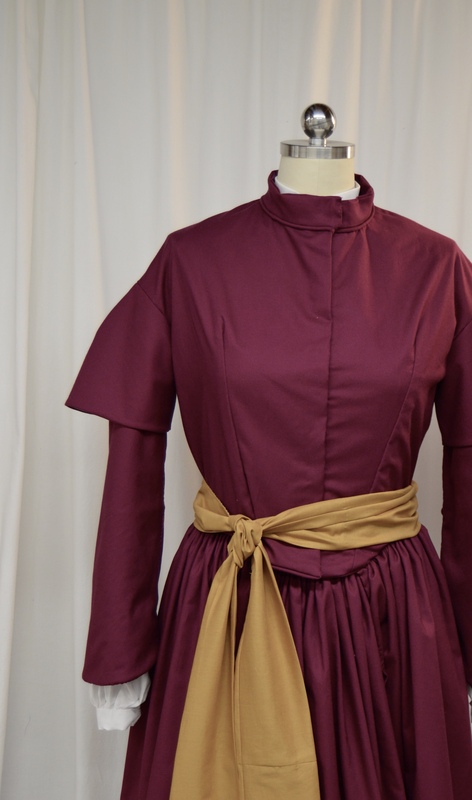 I decided on a short – ish jacket (around upper thigh length), a petticoat (with a hole to include a side pocket), and a slew of trims and details…of which only a few I think will make it to the gown. 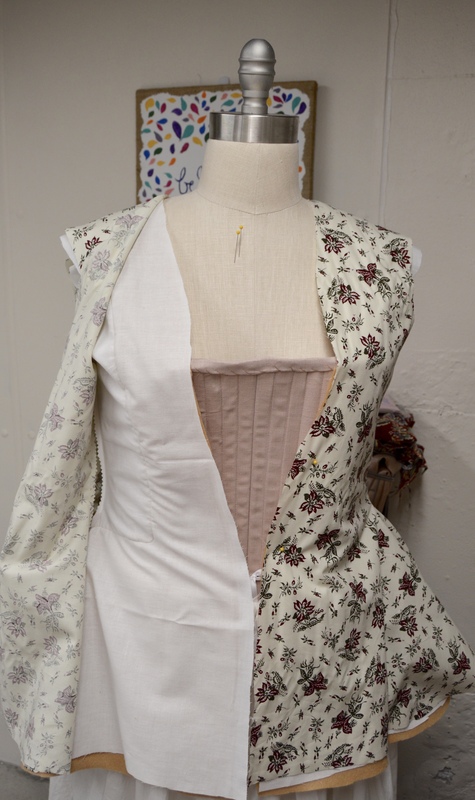 I took pattern inspiration from Janet Arnold’s Pattern of Fashion book and began mocking up the bodice of the jacket. 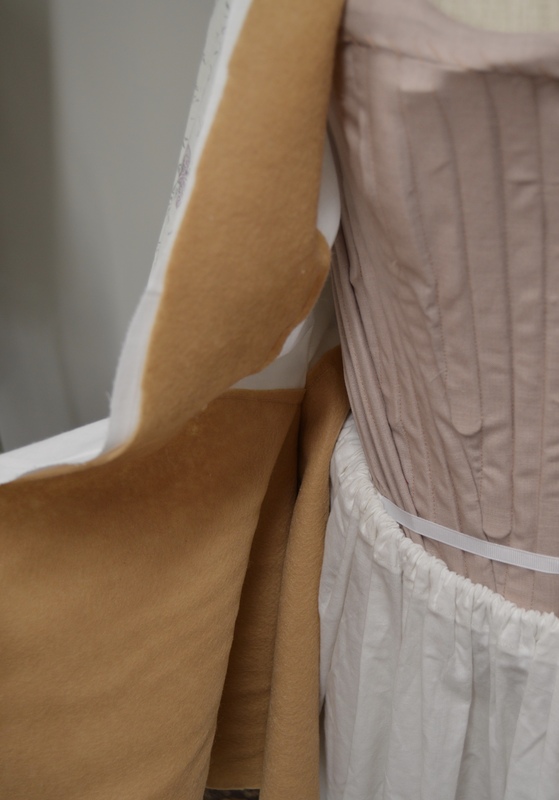 Notice the sharp line of the neckline of the bodice over the soon to be stomacher. 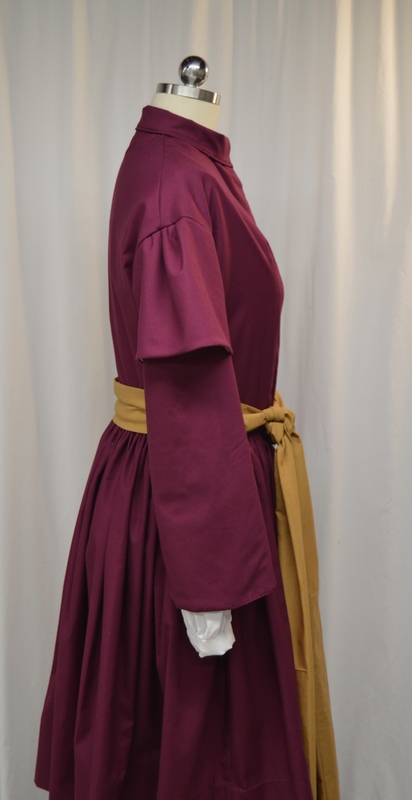 Side view showing the bum roll I plan to also wear. 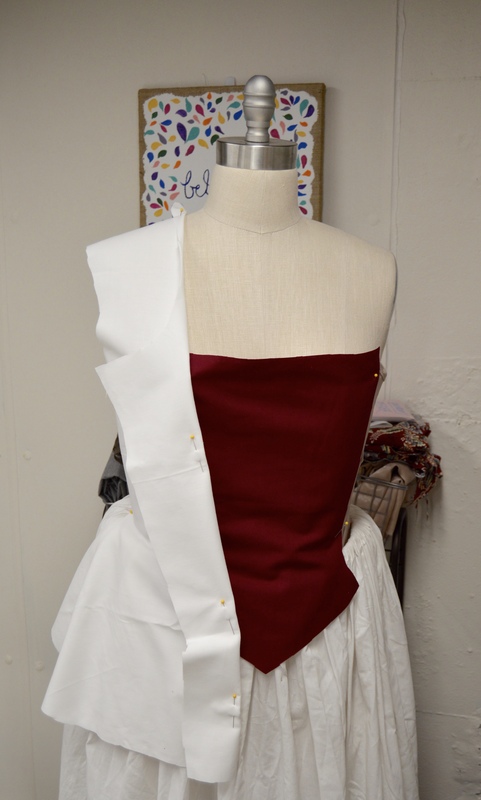 Once I was happy with the basic look, I cut out the lining and main fabric pieces. 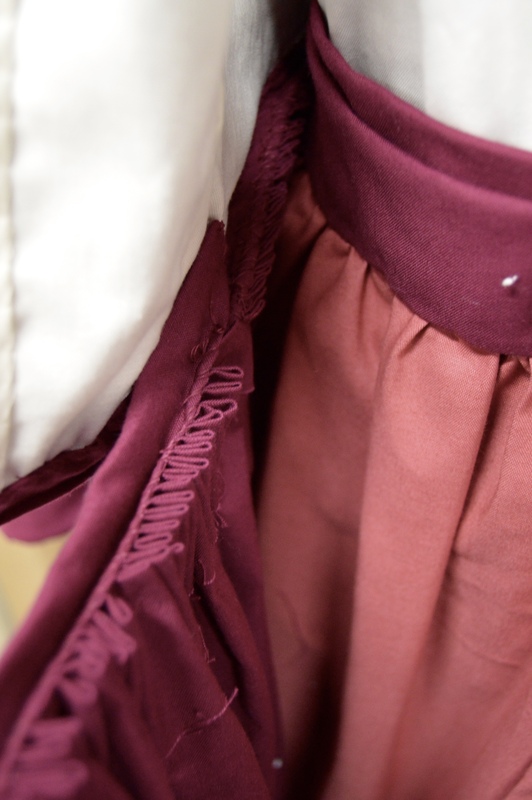 Then, I stitched felt to the lining along the”skirt” portion of the jacket and along the front. This is the part that makes me nervous. Sure the felt creates a very crisp, stiff look…but will I be sweating up a storm? Only time will tell! 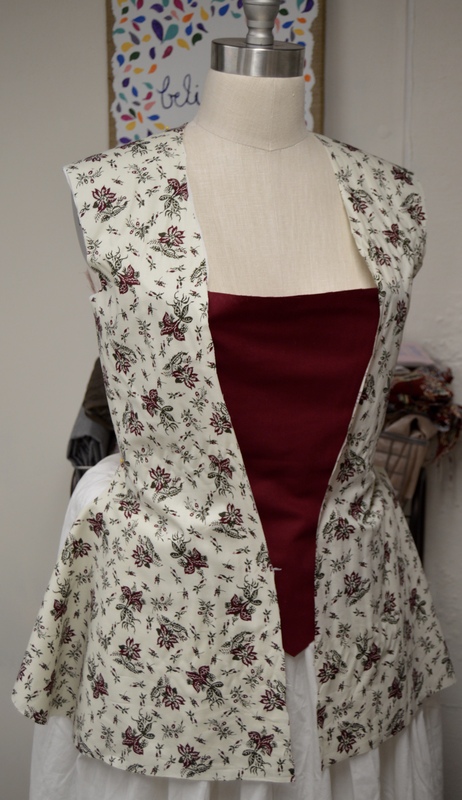 I then stitch all the jacket pieces together, lined it, put in the sleeves, and began trying to figure out how I was going to close the thing! 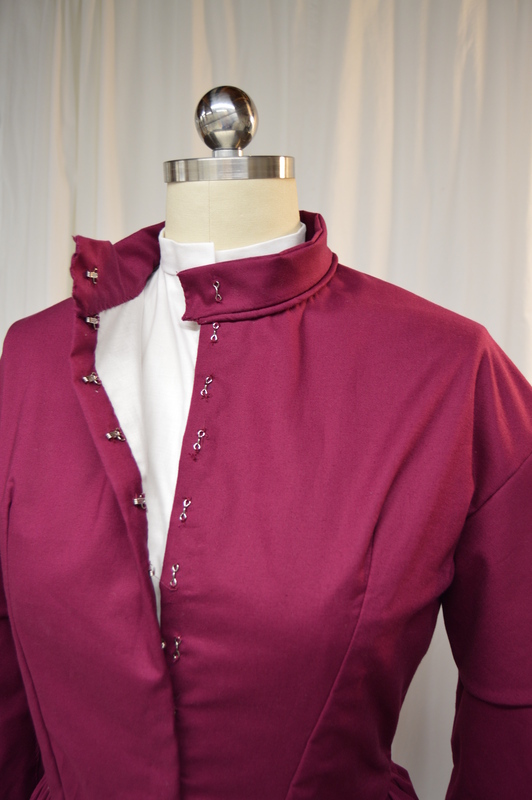 I decided it would be different to lace it up the front with buttons…so I covered some metal shank buttons I had on hand and stitched them to the bottom portion of the jacket at the waist. And this was where things began to go terribly wrong. 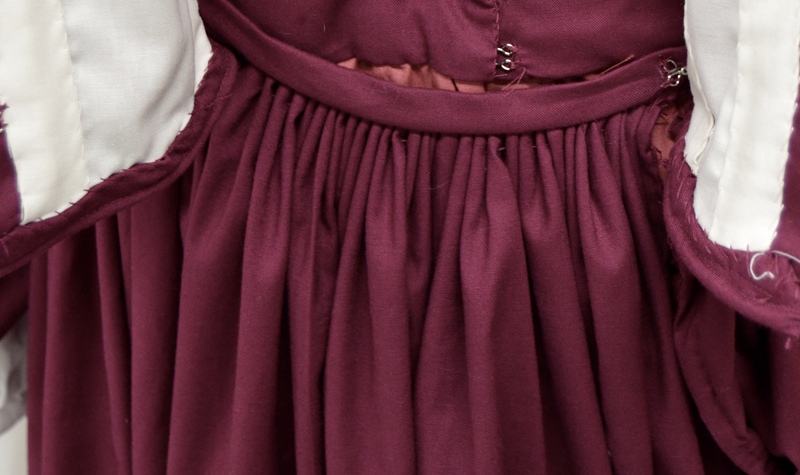 The buttons are just not strong enough to hold the lacing tight and secure. The lacing just pops right off. If any of you have any ideas of what I am doing wrong, please let me know! 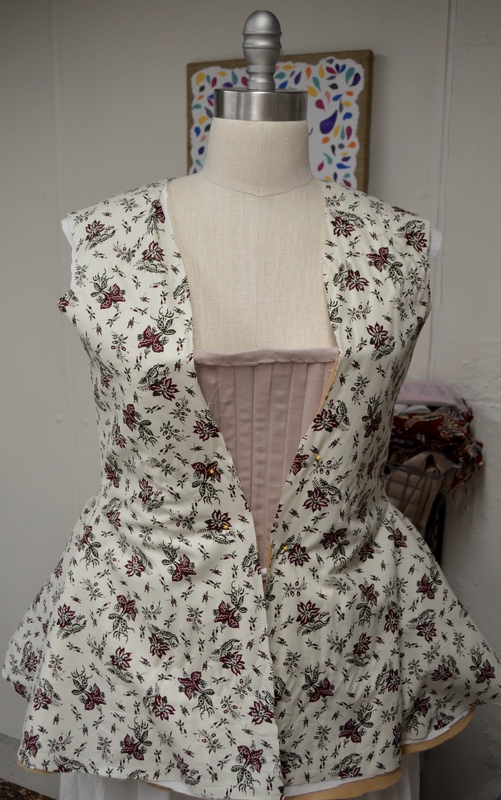 Otherwise I may just have to stick with pinning it to the stomacher…. So here is where Part One ends. 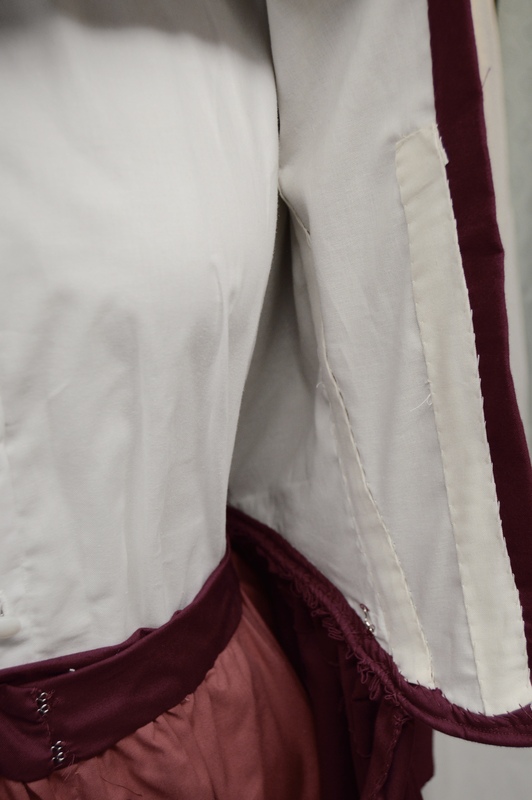 I hope to put out Part Two next week, as I continue working on the petticoat, stomacher, and the trim of the jacket. Overall this has been such a fun project and challenge!!! I can’t believe we are already at Thanksgiving! While I feel that the summer went by at a normal pace, this fall has simply flew!! I have been very busy sewing these past days, not only getting ready for Black Friday and Cyber Monday on my shop (click HERE to see all the deals), but also with some fun projects just for the heck of it! 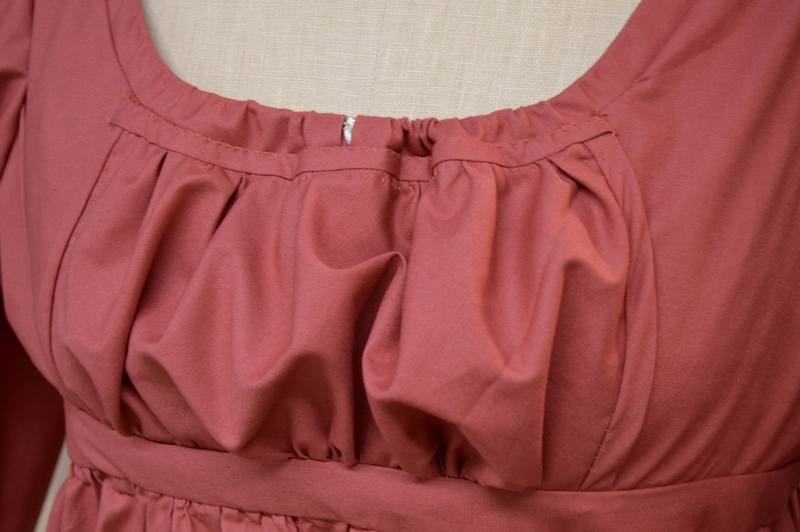 One such project, was this 1810’s day gown in such a fun shade of coral-ly pink. Now I know, that like so many colors, what one person may think is coral may not be what another person would describe it as. So if you are sitting at home thinking that none of the gowns in this post are coral…that’s okay! Agree to disagree! 🙂 Regardless, something about this happy color just sent me on a coral-hunting mission, and while there are not very many historical examples out there in coral, there are a few! 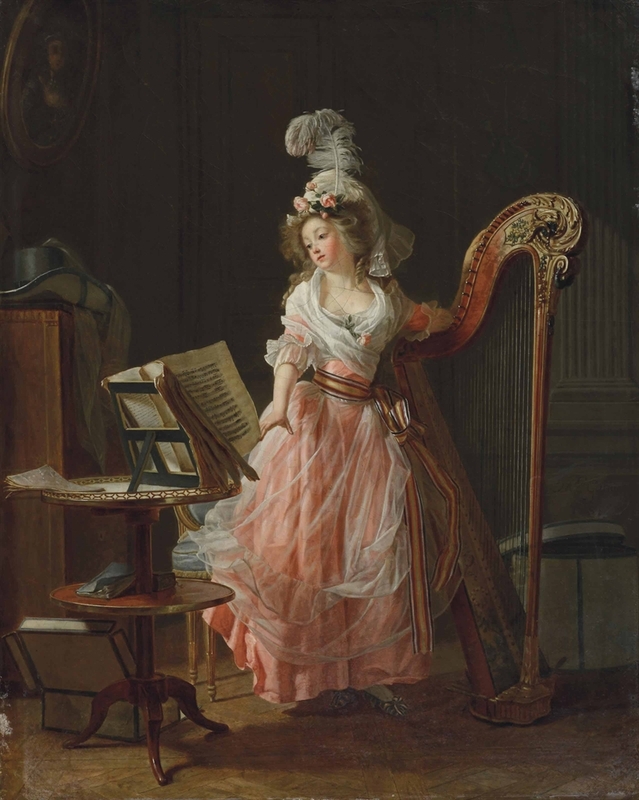 Lets start with this lovely painting called La Jeune Musicienne created in 1788 by Michel Garner. I mean the color, the gown, the gauze-y overalay, the flowered hair piece….drool!! Could you call that color apricot? Sure. Could you call it coral, or pink? 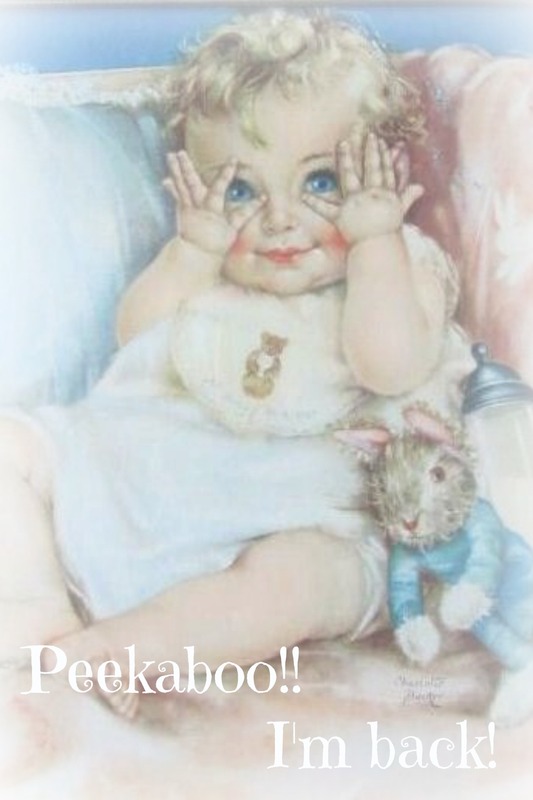 Of course….remember, color is often in the eye of the beholder. But no matter what color you call it , I think we can all agree it is stunning! 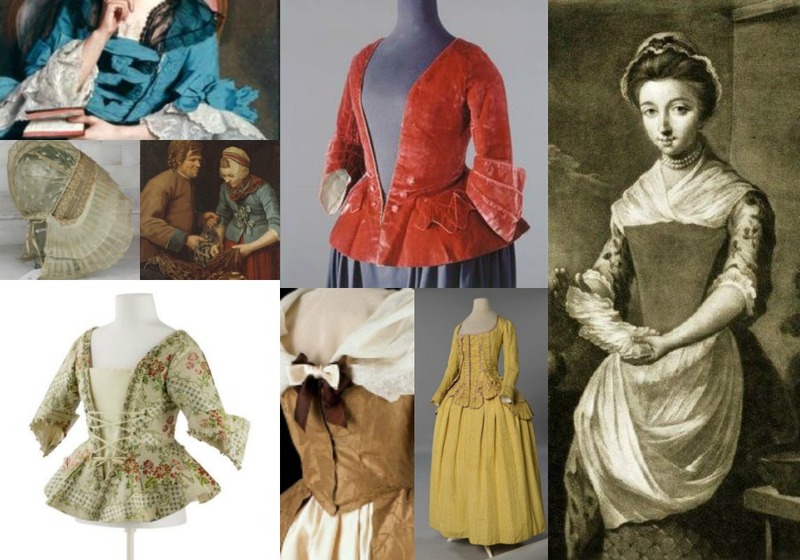 So that takes us to this edition of On My Inspiration Board, where I put my absolute favorites into one delightful collage!! 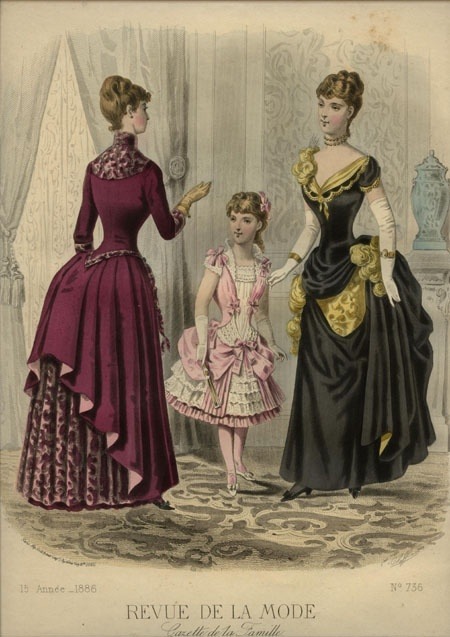 From 1810-1950, there is something here for everyone! 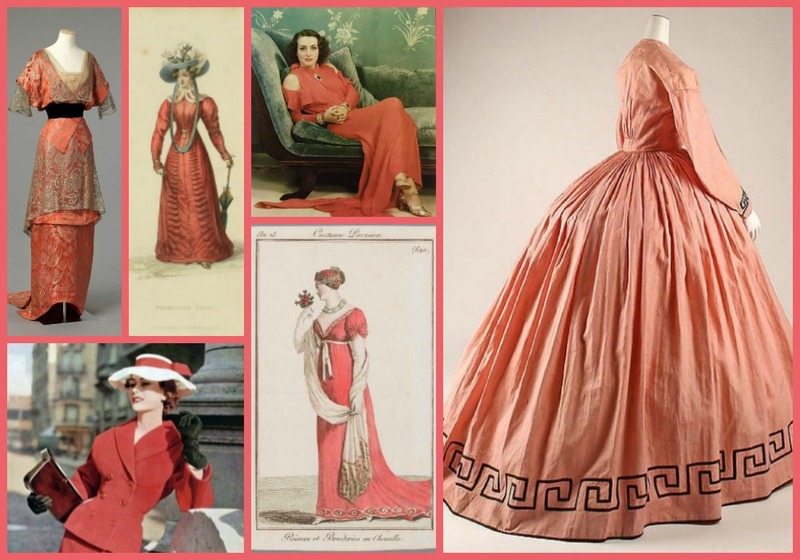 To see more coral gowns, feel free to hop over to my Pinterest Page! 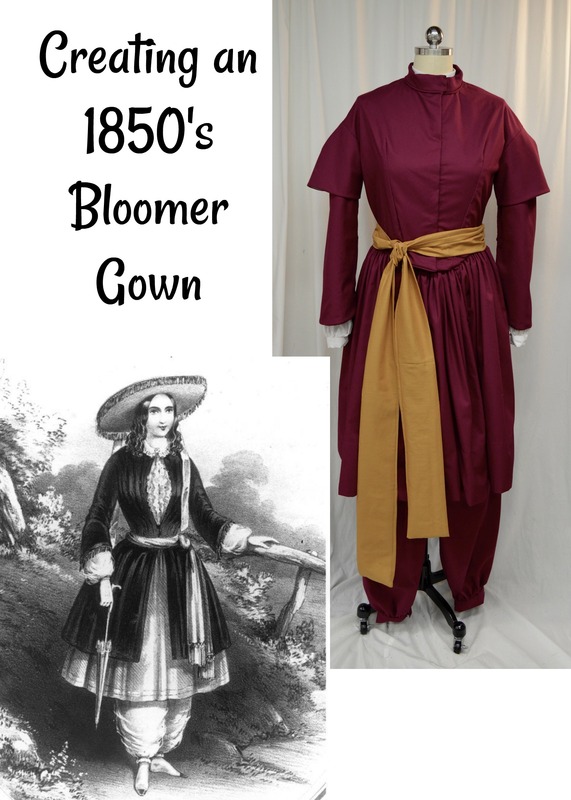 So no matter what name you give it, these gowns are worth more than a passing glance to appreciate the fine design and craftsmanship that went into creating them! I looked at the calendar and couldn’t believe that next week is Thanksgiving!! WHAT?!?! Despite the apparent shock I felt that it was coming so soon, I got equally excited as I just love Thanksgiving! I also am a fan of Black Friday Shopping…within reason! 😉 So this year, I am offering some wonderful sales on my shop that will run all of Thanksgiving weekend, beginning on Friday, 11/24/17 at midnight. With special deals on Black Friday and Cyber Monday, this once a year sale is not to be missed! Save 15% on orders of all Ready Made items and SELECT Custom Orders from November 24, 2017 – Monday 27, 2017! READY TO SHOP????? Click HERE to start! !